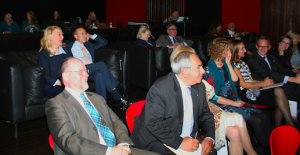 Following the completion of ‘Eyes of St John’ for St John of Jerusalem Eye Hospital Group, we hosted our first preview screening at Twickenham Film Studios. The charity’s work depicted in this film spurred the interest of a number of friends and guests of Vanessa Redgrave and Carlo Nero who attended our event. It was a successful night bringing together a variety of people and opening up an interesting discussion after the screening. 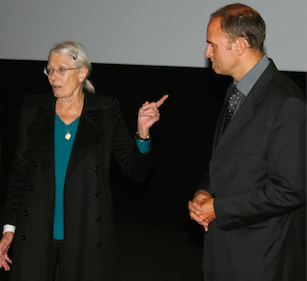 Vanessa Redgrave and Carlo Nero giving an introduction to the Film. 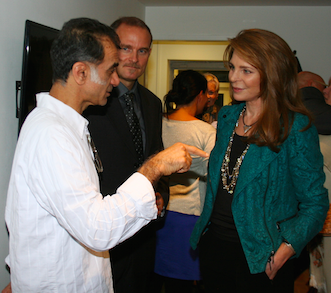 Sunny Vohra, Owner of Twickenham Film Studios, HM Queen Noor of Jordan and Carlo Nero. 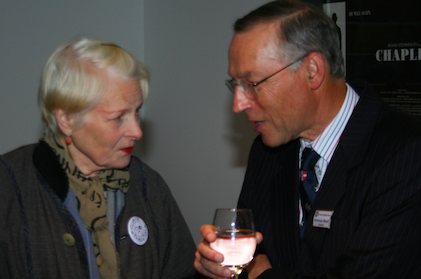 Vivienne Westwood and Nicholas Woolf, Chairman of the board of St John Eye Hospital. A discussion on the issues raised in the film with our guests after the screening. 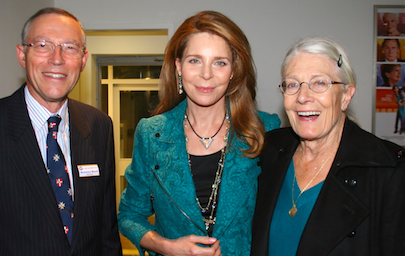 Nicholas Woolf, HM Queen Noor of Jordan and Vanessa Redgrave. 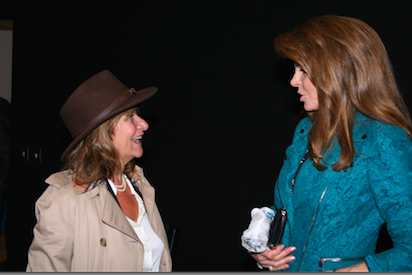 Rt Hon Baroness Kennedy with HM Queen Noor of Jordan. Founder of Films Without Borders, Jill Samuels with HE Afif Safeh. Eyes of St John’ captures the tireless efforts of St John of Jerusalem in bringing vital medical attention to children and adults of all backgrounds regardless of race, religion or ability to pay making a real difference to the communities they work with under very challenging conditions. We are proud to announce the completion of ‘Eyes of St John’ made for St John of Jerusalem Eye Hospital Group. - The only charitable provider of expert eye care in the West Bank, Gaza and East Jerusalem. Click here to see is the new taster clip for our upcoming project who’s filming will commence end of April about the fantastic work done by Saint John of Jerusalem Eye Hospital. Based in the Middle East, the Saint John of Jerusalem Eye Hospital Group tirelessly provide vital medical attention to children of all backgrounds regardless of race or religion; making a real difference to the communities they work with. Footage from our screening of ‘The Killing Fields’ as part of New Putney Debates. 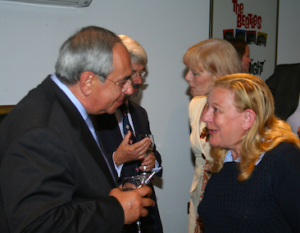 At the Inaugural event of the New Putney Debates, director Carlo Nero screened ‘the Killing Fields and later joined in a panel discussion. The panel included: Owen Jones (Campaigner, journalist & author of ‘The Establishment & how they get away with it’), Emeritus Professor Victoria Chick (UCL economist), Izabella Kaminska (Financial Times – Alphaville), Fred Harrison (Land activist, author, filmmaker), Peter Smith (Conservationist) and Timbrell (Occupy London) facilitating. Carlo Nero discusses the issues raised in the Film following its screening. Conservationist Peter Smith highlights the changes needed from an environmental perspective. Land activist and economist Fred Harrison emphasises the points made in the film on the importance of land taxation. If you would like to find out more about some of the points raised in the above videos, why not click here to view ‘The Killing Fields’ in full. Please subscribe to our youtube channel and other social media which we regularly update with videos, articles and news about other future events Dissent Projects is involved in. Dissent Projects is proud to announce that we have moved into our new offices at Twickenham Film Studios in West London. Twickenham’s exciting history within the entertainment industry stretching back to 1913 makes it a fitting location.